Motherhood and childhood are social and cultural constructions that have their origins in prehistoric times and are visible through Greek and Roman discourses in Antiquity. 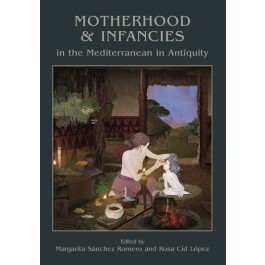 This volume explores various images of maternity and infancy, and the identification of women and womanhood in prehistoric and classic societies. Aspects such as the crucial role of maintenance activities and care, the processes of socialization and learning, the impact of infant death, the figure of the mother queen, the religious discourses about motherhood, the rules on parental rights, the transgressions of traditional motherhood and the emotional aspects of the mother-child relation are analysed. The book covers the ancient Mediterranean area, from Mesopotamia to the Iberian Peninsula and from prehistoric communities to classic societies, with Mesopotamian, Phoenician and Iberian examples. A multidisciplinary approach is adopted, analysing material culture, representations and texts to gain a deeper understanding of the plurality of motherhood, and the diversity of women’s agency through history.